It was the battered prawns, drizzled with a spicy chili sauce which packed a tearful bite, that sealed the deal, but it could have also been the fresh tuna crudo that tipped the scales in their favour. Dinner at Sea Grill is a seafood immersive experience. Main dishes are written on a chalk board, but the real excitement lies in the printed menu, which is a collection of carefully considered seafood dishes, paired with meal-enhancing side dishes. From freshly caught line fish, to shucked oysters and warm seafood salads – all tastes are taken into consideration and catered for. 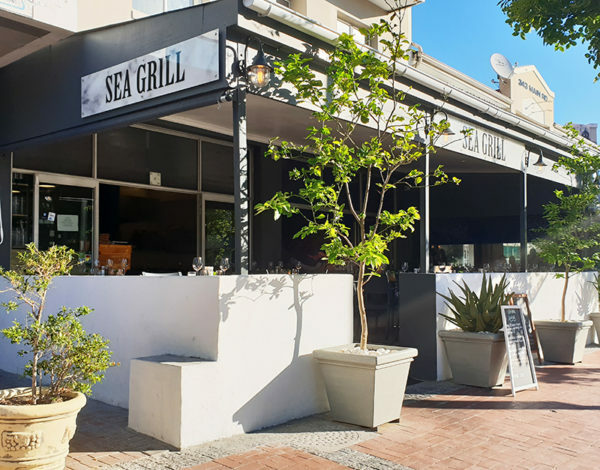 Sea Grill in Sea Point. 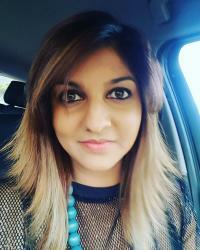 The restaurant is situated on the busy Main Road in Sea Point – boasts an open kitchen for you to watch your meal being prepared, and is conveniently only a few steps off the pavement. I highly recommend starting with the Dynamite Prawns, it is exactly what the name suggests. 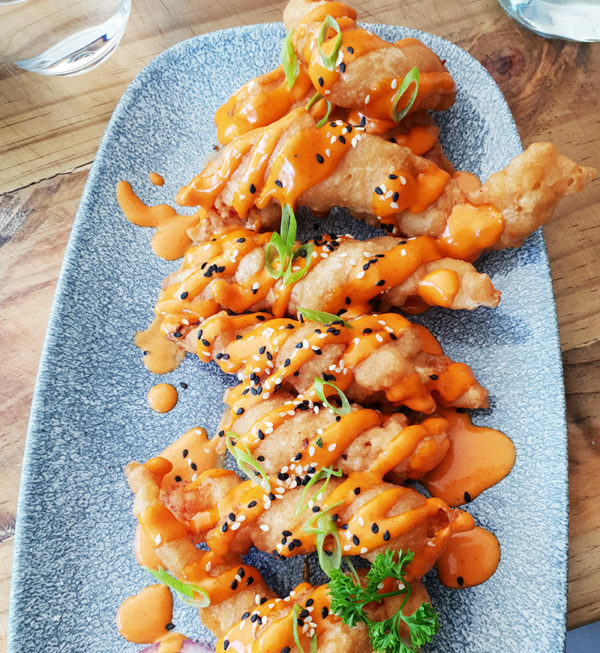 The prawns are plump and fresh, battered and deep-fried, then drizzled with a delicious homemade spicy dressing which you should spend all your time mopping up. Other starter options include garlic roasted mussels, tuna crudo (another must-try), seafood arancini and even grilled sardines if you’re a fan. Between blackboard specials and the menu, there is much to consider when choosing mains. 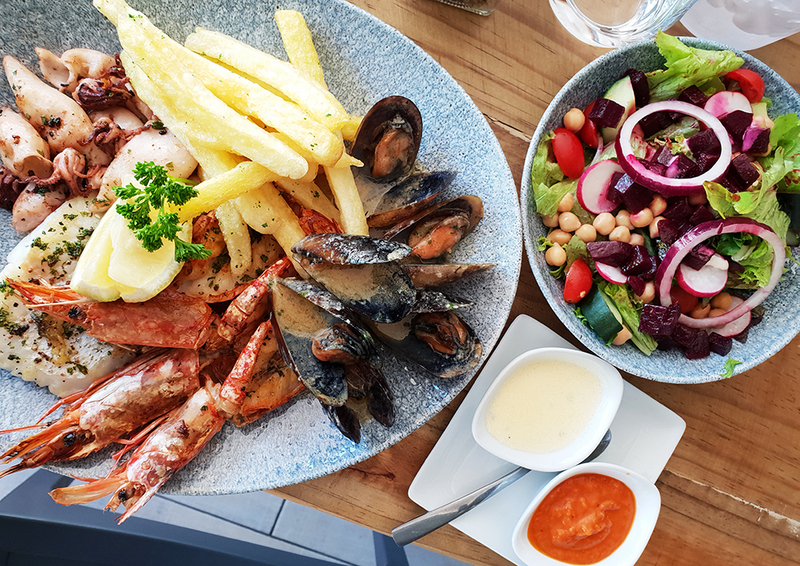 I wanted a little of everything so I went with the Sea Grill seafood platter for one, which was reasonably priced at R185. 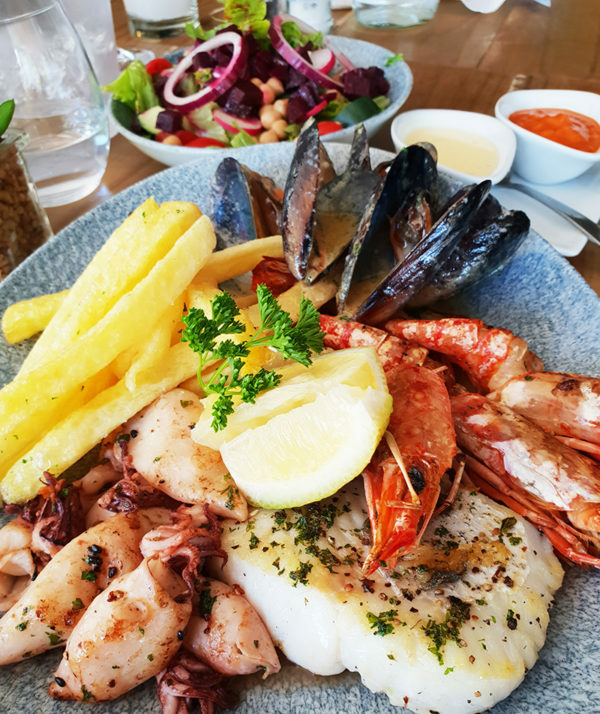 An indulgent offering of line fish, garlic black mussels, succulent calamari, prawns and a choice of side dish will leave you more than satisfied, and you might even have enough for a doggy bag. If you dine out often you know how unaffordable seafood platters can be, it was refreshing to order the dish without hesitation. All the components were delicate, intensely flavourful and smothered in butter sauce, just the way I like it. You can’t go wrong with any fish or seafood option, and there are many to choose from. From seared tuna, grilled sea bass or seafood pasta, to a classic fish and chips – their preparation will leave you wanting more. Dessert options include chocolate brownies and a baked cheesecake, which is light in texture and heavy on flavour. 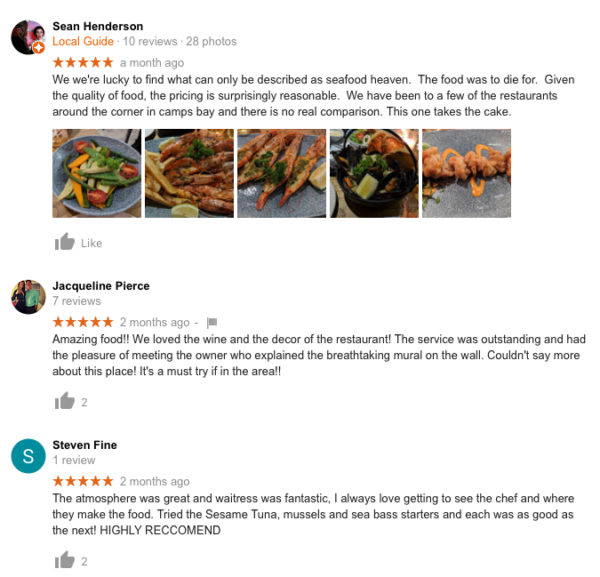 Sea Grill is a one-stop, enjoy all the variations of seafood shop – so if you’re a fan, looking for fish as fresh as it gets, this is the place to try. 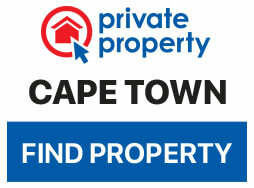 But, don’t take our word for it, they have a 5 star rating from customers.